A new bird-based animated series from Chowder creator C.H. Greenblatt is set to debut on Nickelodeon on March 29, at 7 p.m. ET/PT. 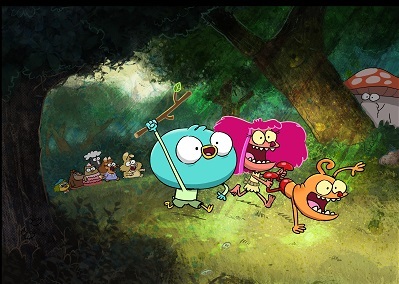 Harvey Beaks (26 x half hours) follows a set of birds who are unlikely friends, including mild mannered, by-the-book Harvey and wild rule-breakers Fee and Foo. Nickelodeon is offering a first look at the series, which is produced by the network’s animation studios in Burbank, California, on March 28, at 9:30 p.m. (ET/PT) following the 2015 Kids’ Choice Awards. 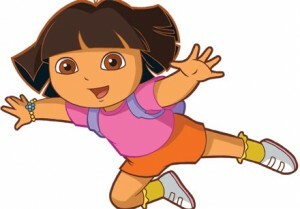 The series will then roll out on Nickelodeon’s international channels this summer. On the interactive front, fans can visit a Harvey Beaks page at Nick.com and the Nick App for more information, games and quizzes. This is the latest kids show from Greenblatt, who started his career in animation as a storyboard artist and writer on Nickelodeon’s SpongeBob SquarePants. Along with creating and executive producing Chowder, he was a storyboard artist and writer for Cartoon Network’s The Grim Adventures of Billy & Mandy. 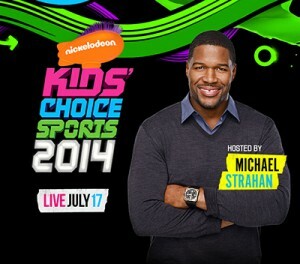 Just last week, Nickelodeon unveiled new shows and digital content during its annual upfront presentation. Along with emphasizing its multiplatform strategy, the kidnet bumped up its production slate, greenlighting three new live-action series.